The 2018 Jaguar E-PACE is a compact luxury SUV that has just launched on the market. Offered in the luxury urban SUV segment, it targets a clientele that wants a versatile and spacious luxury vehicle but is also able to maneuver city streets. The new E-PACE offers all this to its owners in addition to that extra touch of exclusivity that comes with the Jaguar emblem. The 2018 Jaguar E-PACE delivers agile, efficient, and comfortable driving. The steering is precise and the agility of the small British SUV is surprising. With its compact dimensions, it goes anywhere and everywhere in the city while being very easy to park. That said, it's roomy enough for a young family's needs and its trunk is vast and practical. It also features several storage spaces. On the highway, it offers remarkable comfort and its interior is very quiet. Under the hood, its 2.0-litre turbo four-cylinder engine develops 246 horsepower and 269 lb-ft of torque. 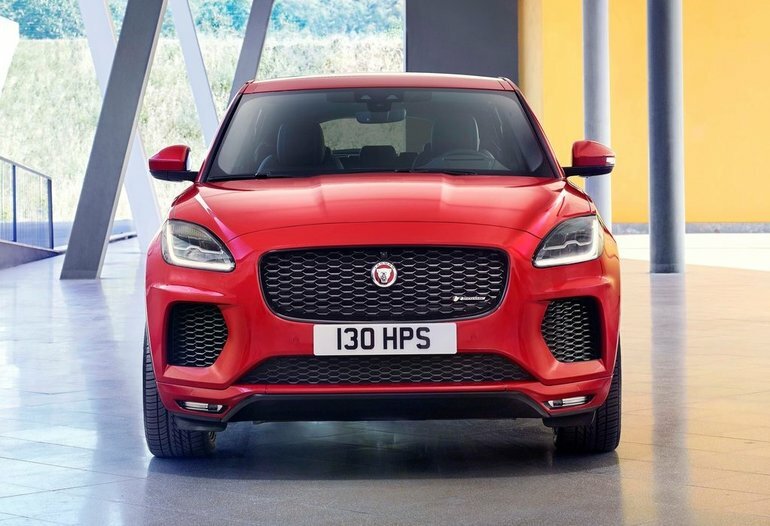 A quick comparison with its rivals shows that the Jaguar E-PACE is one of the most powerful in its segment. It will be able to reach 100 km/h in less than 7.0 seconds while achieving an average fuel consumption rating of fewer than 9.0 litres per 100 kilometres. If you're driving mostly on the highway, then fuel mileage is even more impressive. The 2018 Jaguar E-PACE is perhaps the most affordable SUV in the Jaguar lineup, but its cabin is basically a copy-and-paste of the more expensive and exclusive Jaguar F-PACE. You get the best of Jaguar in terms of elegance and comfort despite the relatively affordable starting price of the new 2018 Jaguar E-PACE. For more information or to book your test drive, contact us today at Decarie Motors Jaguar. 2019 Jaguar E-PACE: British luxury without breaking the bank.